Hi guys, and welcome to my August wrap up! 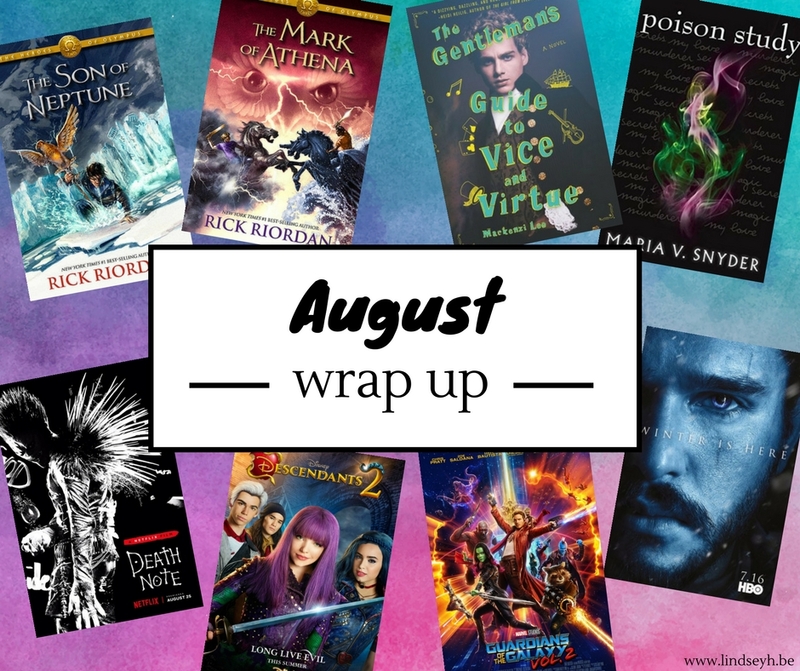 So without further ado, let’s get into my wrap up for August! So I’ve been bravely continuing my personal quest of finally getting to The Heroes of Olympus series, which I’ve been buddy reading with Uma of Books. Bags. Burgers. 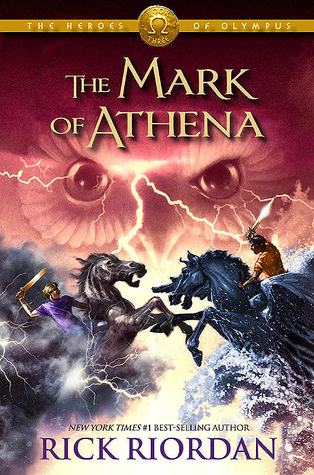 And I could summarize everything with just this: When in a reading slump, reach for a Rick Riordan book. Even in a big reading slump, it’s impossible not to fly through these books. They’re all fast-paced and easy reads, with still a lot of humor and heart and of course, lots of mythology! That said, I must say I expected these books to get better and better with each next book in the series, and… The Son of Neptune didn’t get better. It didn’t get worse, either, but it just kind of stayed average. It wasn’t my favorite Rick Riordan book to date. Rating: 4 stars | Check out my full review here. Finally, one of my most anticipated reads of 2017 that did not disappoint! The Gentleman’s Guide to Vice and Virtue was on my radar ever since I saw it described as a tale of two boys going on a road trip through seventeenth century Europe, fighting pirates and their feelings for eachother along the way. And oh boy, it didn’t only live up to all my expectations, but it managed to surpass them and surprise me along the way. The hype is real. This is one of the best books I’ve read in 2017 and I’d absolutely recommend it to everybody. You simply must meet Monty, Percy and Felicity, as they are one trio you won’t soon forget! 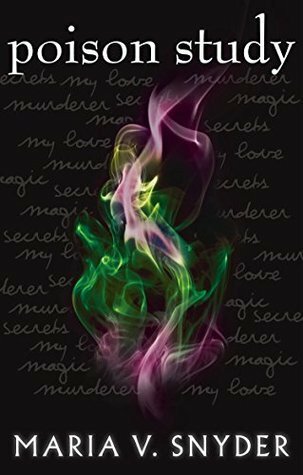 Poison Study was the first book I read for #TheReadingQuest and it definitely started the Quest with a bang! I flew though this book in just two days, which was really great considering it’s been taking me 2-3 weeks on average to read a book lately. I loved the plot and the characters. This book is basically a combination of everything I love in fantasy! Though I must say I was expecting something more from the ending… Not sure what though. Guess I’ll have to continue the rest of the series and find out if I love the next books just as much or not. I actually listened to quite a lot non-kpop stuff this month (even though, let’s be honest, I still listened to a whole lot of k-pop as well). This month I’ve been loving a lot of songs, most of all New Rules by Dua Lipa and No Promises by Cheat Codes ft Demi Lovato. I also really enjoyed the new songs by Sleeping With Sirens, 30 Seconds To Mars and (even though it took me a bit) the new Taylor Swift. 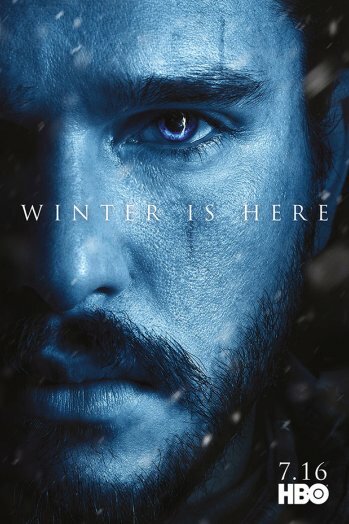 I only watched one tv show this month, but oh boy did Game of Thrones deliver! It was a super short, but EPIC season. Even if a few of those major epic plot twists were kind of predictable, I was still watching every episode screaming at my tv. Now, can someone please explain to me why we have to wait more than a year for the final few episodes? As I explained in last month’s wrap-up, I have a huge amount of love for the soundtracks of these cheesy but super enjoyable movies. But I just watched the second movie this month and I ADORED IT! I may love the first one just a tad more plot-wise and I also wasn’t such a big fan of the ending of this one, but overall I could just watch these kids’ adventures and their friendship all day long. As you may already know from previous wrap-ups and also more obvious posts such as this one, I LOVE Death Note. I adore it. So when Netflix announced a new adaptation, I was all ready for it. Though from the beginning it was already looking to be well… a trainwreck (whitewashing, major plot changes,…) I was still strangely excited to watch it. 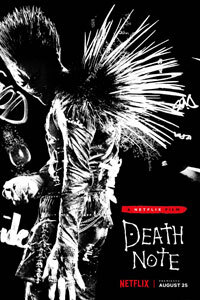 And well, if you’re a huge fan of Death Note, this adaptation probably isn’t for you. The plot that should have been an intriguing psychological thriller and cat-and-mouse game between two geniuses became an overdramatic Final Destination wannabe with a completely unnessecary romantic subplot. The plot is not my beloved Death Note and the characters are NOTHING like my beloved characters. But I do think that if you’re not familiar with Death Note yet, you might still like it for what it is. (Even though I’d still recommend the anime or Japanese adaptations first). 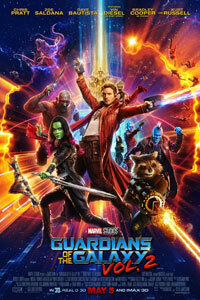 Hi, I FINALLY watched Guardians of the Galaxy 2! Woop woop! I love me some baby Groot. That intro scene gave me life <3 But I must say that I found the villain a bit underwhelming and I preferred the first movie a tad more. Not to say that I still didn’t highly enjoy this one and I’m already eager to see more of all these characters! Hmmm, what’s new in life? Well, this month I went on a day-trip to the Belgian coast, had dinner with friends, had a wedding anniversary for my grandparents and went to a fairy-tale based amusement park with my family-in-law. Basically, my weekends were pretty booked, and my weeks have been going by at super-speed. Which leaves me with mixed feelings, because as happy as I am to be working full-time again, I’m also super exhausted and struggling with finding the time to do the little things I love, such as read, blog and watch my kdramas. So please bear with me a bit longer and forgive my huge lack of blog hopping and commenting while I’m still trying to figure it all out! How was your August? What did you read? What did you listen to and what did you watch? And what are your plans for September? 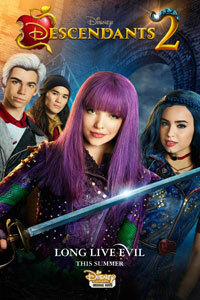 We were looking forward to Descendants 2 for so long, and we really liked it! I just love anything Disney, so these movies are so cute. I agree, these months are moving by way too quickly! Disney movies are seriously the best! I don’t mind that they can be a little cheesy sometimes, I’ll soak it all up because they’re so much fun and so cute indeed! I think you got way more done than I did! 🙂 I want to watch Death Note but I am sad but not surprised that is was whitewashed. *sigh* I still need to see Guardians 2! Wow, sounds like you’ve had a busy month off the blog! I’m right there with you on Game of Thrones. I just finished the season finale a few days ago and cannot believe how long we’re going to have to wait to see what happens next. It was so good though! Glad you ended up liking Taylor’s new tune eventually. I do too, though I think the melodies of her newest song, ‘…Ready For It?’ are beautiful and this song is more align with Taylor’s style. I still need to listen to Ready For It a few times, I haven’t really listened to it properly yet. But I’m sure I’ll end up liking it as well! Yes, already one week in September, where is the time going? Hope you’ll have an amazing September as well Marie! Gosh, I’m only getting to your August wrap up and it’s basically the end of September. *worst blogger friend award goes to me!*. Adulting is super exhausting. I’m feeling ALL of the exhaustion this month! Yikes. Riordan books are awesome. I love them. They always surprise me with how long they actually are but they are great with all that sassy humour and fun adventure! I’m so glad that you are enjoying them!!! I really need to pick up Gentleman’s Guide. I’ll get there! Yay for enjoying Poison Study! I’m reading your review after this. GOT… Oh my goodness. How EPIC. I’m actually scared for the next season (you know, the one in 2019!!!! Grr). I get it… The episodes are going to be MANIC and probably full of battles and action that takes forever to film… But STILL!!!!!!!!!!!!!! Hungry fans over here, right? Anyways, still so much to catch up on on your blog, so I’m headed to do that now!!!! Yeah, I know I love Riordan books, but I still always am a little surprised by how much fun they really are.